The inspiration of sculpture in Thailand has been, for centuries, predominately Buddhism. From the time of the earliest missionaries around the 5th century, Buddhism has permeated the entire population of Thailand and provided a unity of thought and artistic activity. The Buddha, Bodhisattvas (enlightened beings who choose to stay on this earth to guide others to enlightenment), and diverse human figures all fitted into a universal hierarchy that was precisely defined by Buddhist texts. 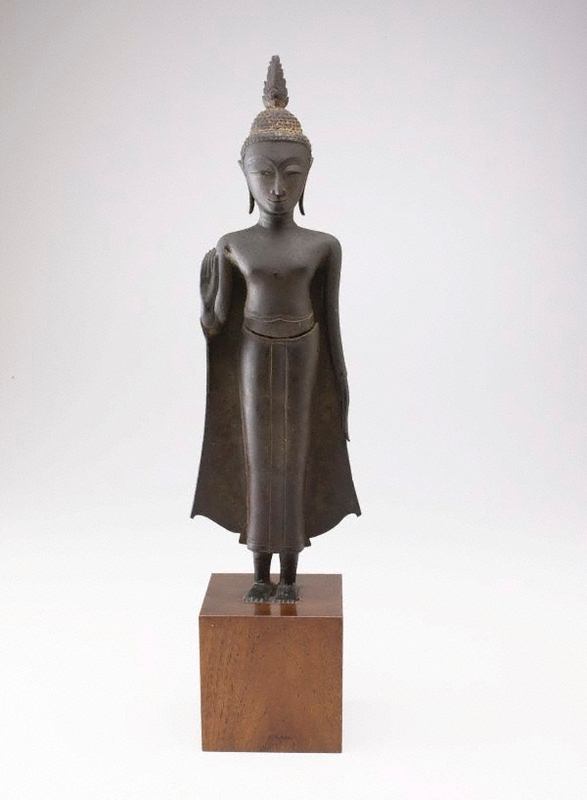 This Standing Buddha is a provincial piece from the Ayutthya period.